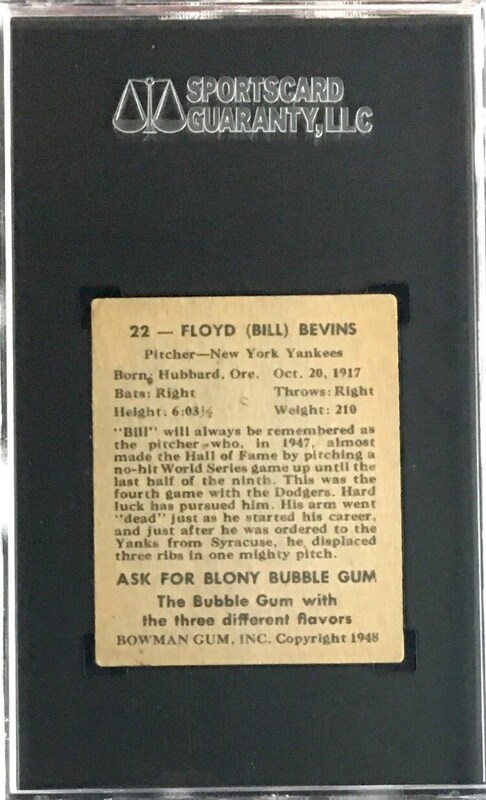 Up for your consideration is a 1948 Bowman #22 Floyd Bevins SP card. 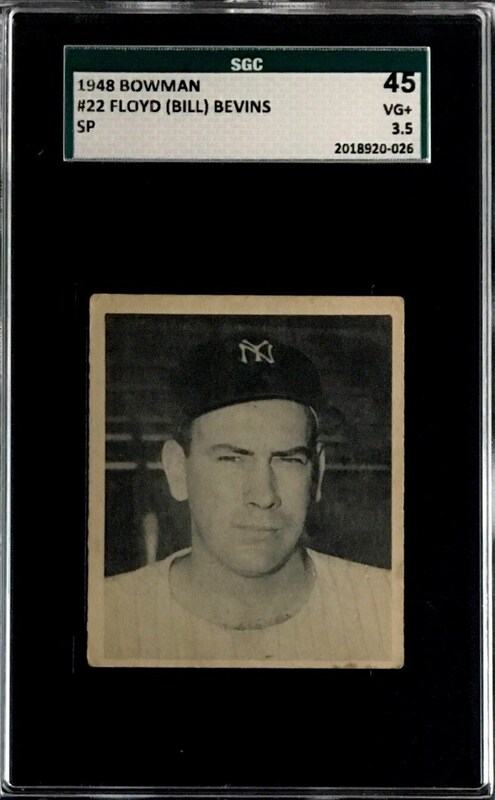 Bevins was a New York Yankees right hand pitcher best remembered for his role in Game 4 of the 1947 World Series where the Yankees fell to the Dodgers. Offered here is a short printed card with above average centering. The card has been graded an SGC 45.